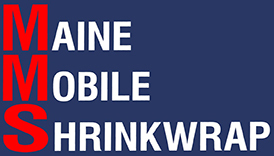 Maine Mobile Shrinkwrap provides covering solutions for marine, residential and industrial customers. We offer services locally to individual customers, as well as competitive wholesale pricing to marinas and boatyards throughout New England. We welcome the challenge involved in covering large and complex structures. Please call for more information and quotes. We look forward to providing an appropriate and carefully executed solution to your shrink wrap needs.